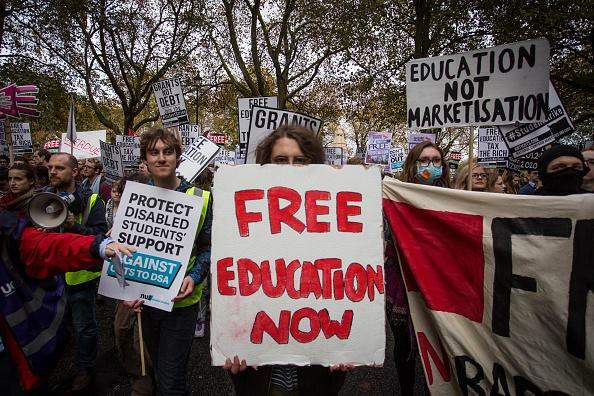 UK students are preparing for more demonstrations to protest against government reforms to higher education. The National Campaign Against Fees and Cuts (NCAFC) said that if the government’s series of changes are implemented, it would ‘further entrench the marketisation of universities’, meaning governments could raise fees without even a vote in Parliament. The NCAFC are the group behind November’s mass student demonstration in London. Shortly after the first demonstrations, the government released a green paper on the issue, which it claims has outlined ‘ambitious proposals’ to boost teaching standards, support more students from disadvantaged backgrounds, and ensure better value for money and better employment prospects. They also accused Universities Minister Jo Johnson of treating students as “consumers”. The campaign has received support from the Labour Party, and Shadow Chancellor John McDonnell spoke at November’s rally. The demonstrations ended in scuffles with the police, who were accused off excessive brutality by some protestors. Campaigners are now looking at the possibility of another series of protests in the New Year. Posted in News and tagged Cuts, news, protest, students, university. Bookmark the permalink.